The names of the Crimean Tatar scientists, who made a significant contribution to the development of science not only in the Soviet Union, but throughout the world remains unknown to the general public until now. 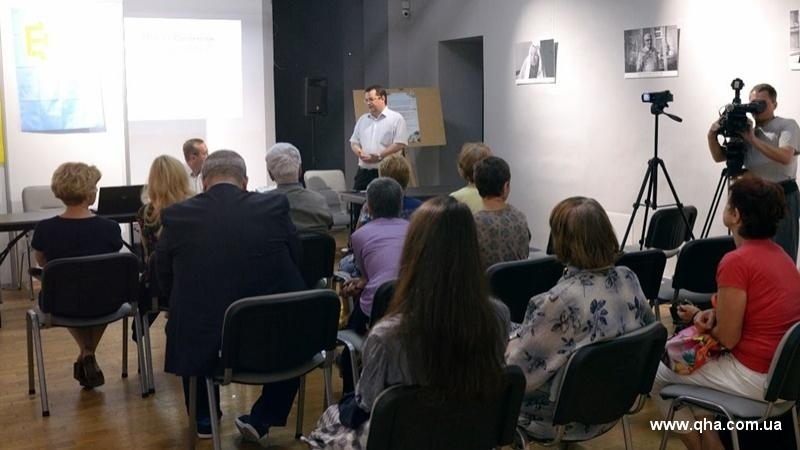 The scientific work of three outstanding scientists was discussed within the public dialogue “Crimean Tatar Names in Science: Mamut Bayasanov (1900-1963), Zore Ablyamitova (1916-1989), Midat Selimov (1918-2001)” on July 20 in Kyiv. Historian Andrei Ivanets moderated the event where the main speakers were the Board members of the “Ukrainian Initiative” organization Yuri Kosenko and Olga Timchishin. Yuri Kosenko described the life and scientific achievement of the Crimean Tatar selectionist, horticulturist and agronomist Mamut Bayasanov. The scientific advances of this researcher benefit people now. It was Mamut Bayasanov who made cultivation of tea, olives and subtropical fruits possible in Azerbaijan. Biologist Zore Ablyamitova made outstanding achievements also. Zore Ablyamitova is the author of the ecological biochemistry of marine organisms that is original and priority direction in bio-oceanography. She avoided the brutal deportation of 1944 thanks to her husband biologist Konstantin Vinogradov. Contrary to the prohibitions and persecutions of the Crimean Tatars, Ablamitova wrote her doctoral dissertation in the Crimean Tatar language in 1958. Olga Timchishin noted the role of the famous biologist and virologist Midat Selimov. His rabies scientific research placed him among such outstanding scientists in this direction as Louis Pasteur and Nikolai Gamaliya. The main achievement of Midat Selimov was the invention of the vaccine against rabies virus for humans, which is used in post-soviet countries till now. The Chairman of the Mejlis of the Crimean Tatar People Refat Chubarov stressed that due attention should be given to the scientists in the historical discourse. “The situation sometimes requires the persons who help the people to take the rightful place in history again, but it does not mean that others should not be. I just now understand how they suffered from the fact that they could not help their people. They understood that as soon as they had approached the people in their struggle for their rights, they would be immediately destroyed as specialists,” he said. Refat Chubarov also noted that the heritage of the Crimean Tatar people should take a worthy place in the cultural heritage of Ukraine in particular, and in the world as a whole.